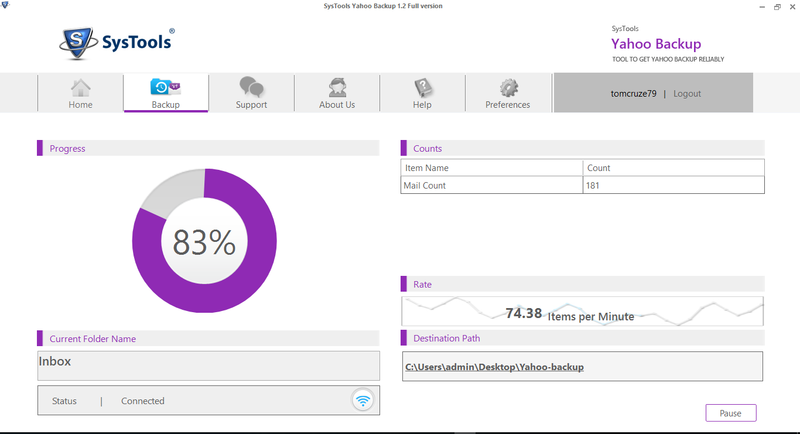 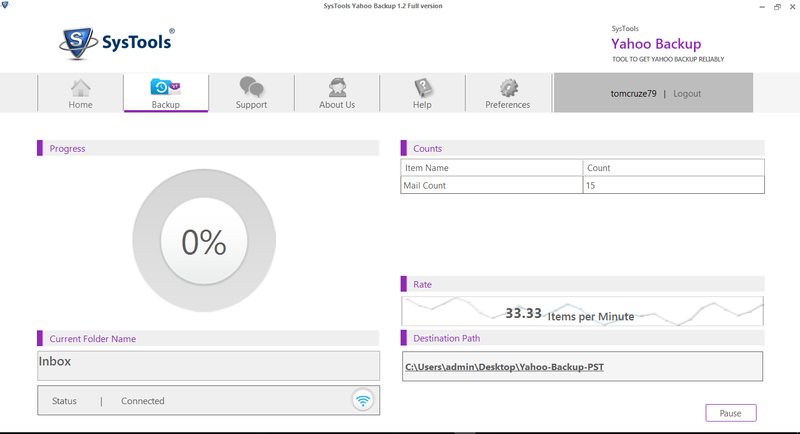 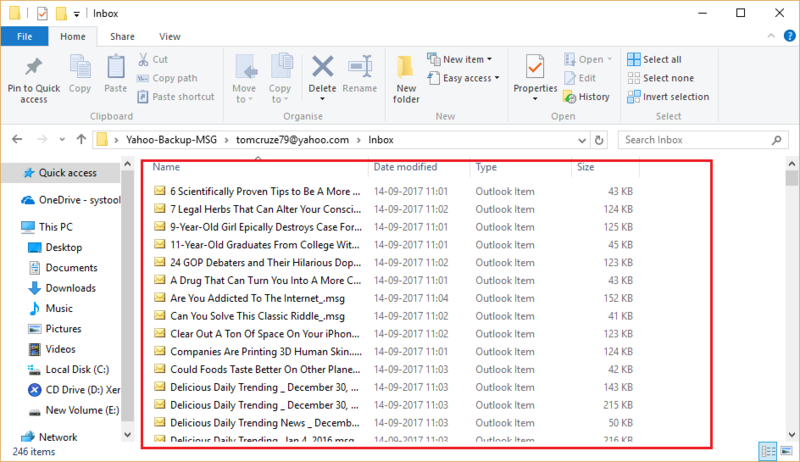 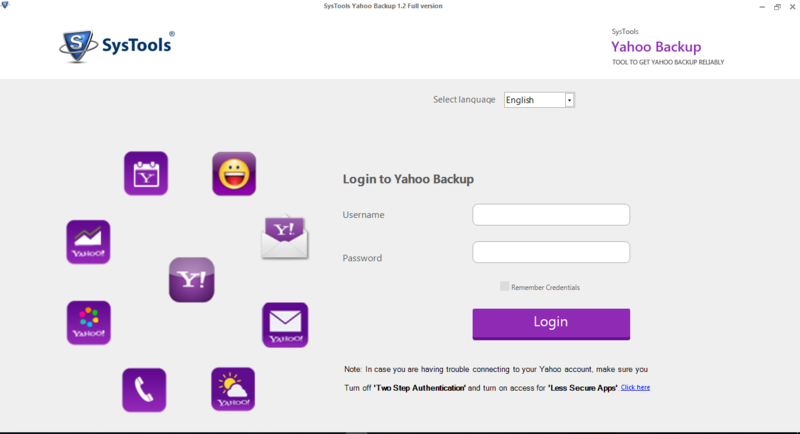 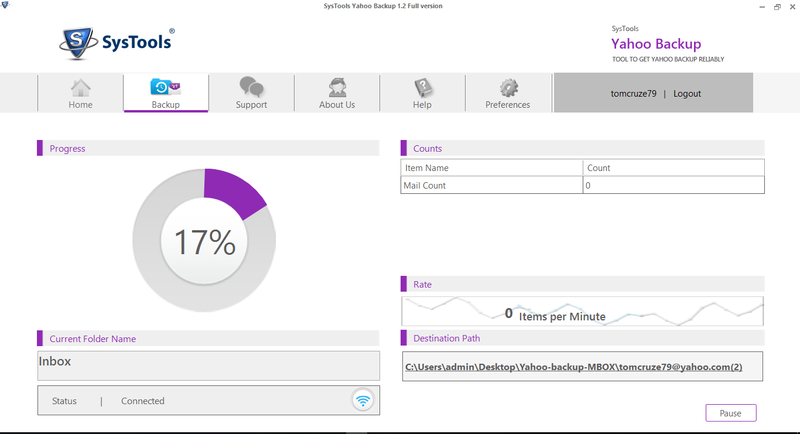 By following the mentioned step by step instructions, you can learn how to use the tool & secure backup of your emails. 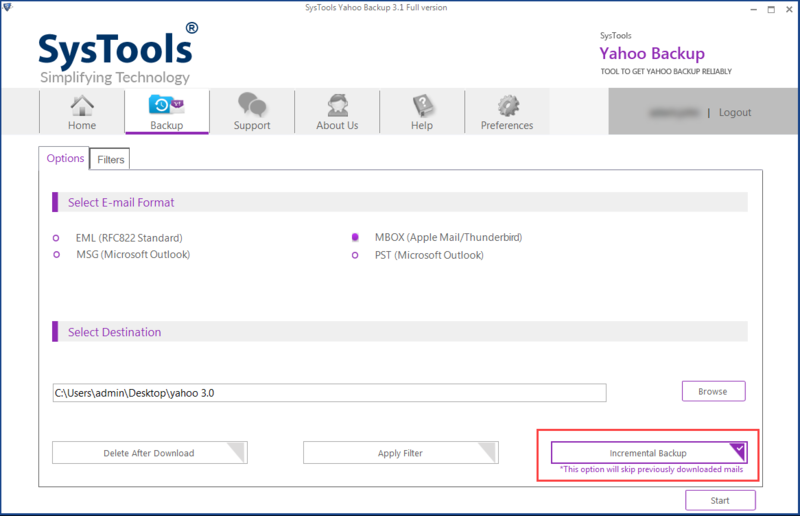 Go to the start menu click on All Programs » SysTools Yahoo Backup. 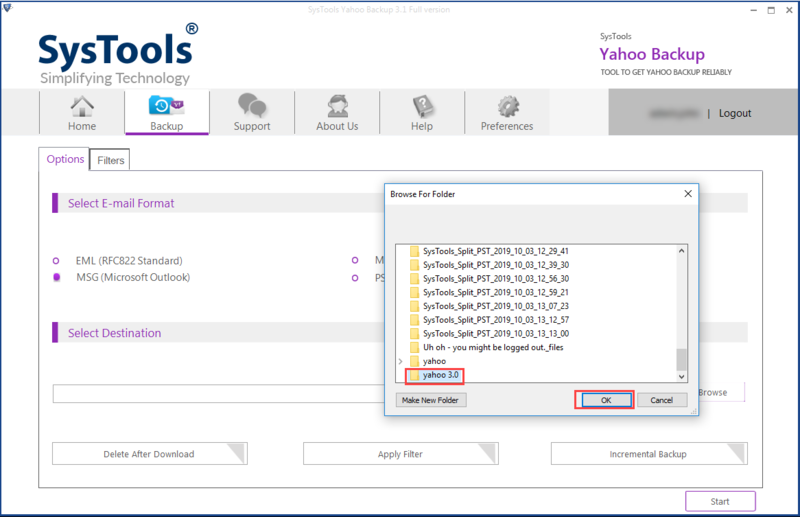 Click on the "Browse" button to browse the final destination for the export process. Apply customized filters by clicking on the "Apply filters" button. 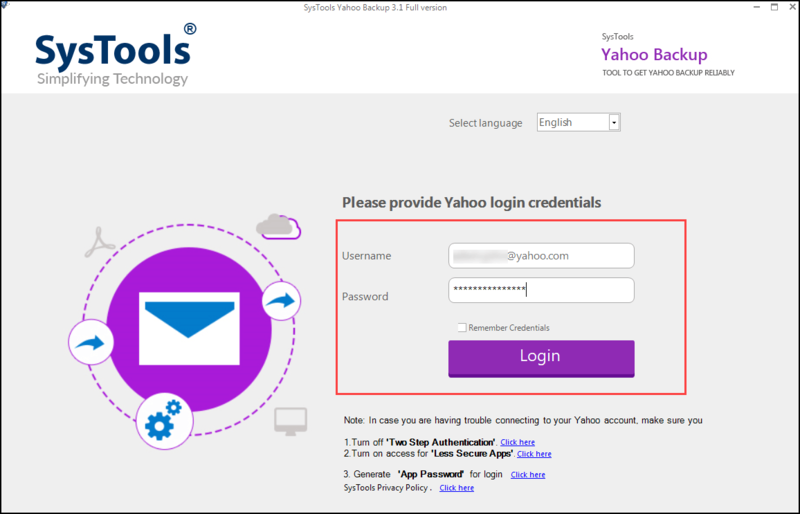 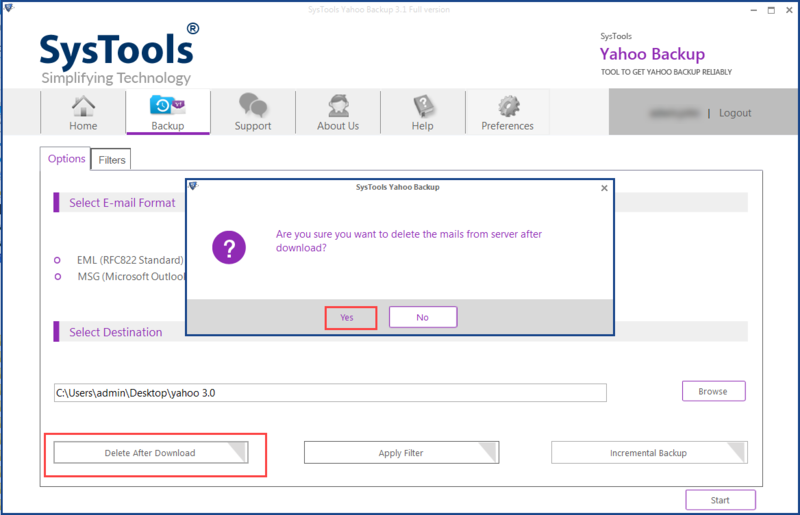 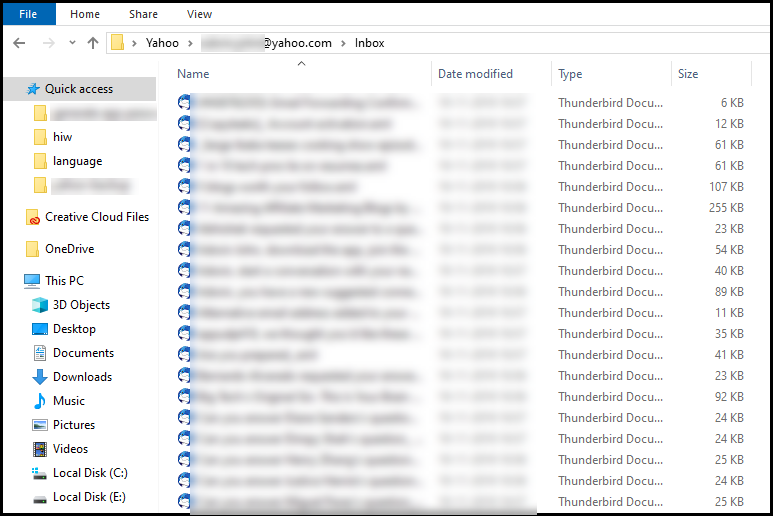 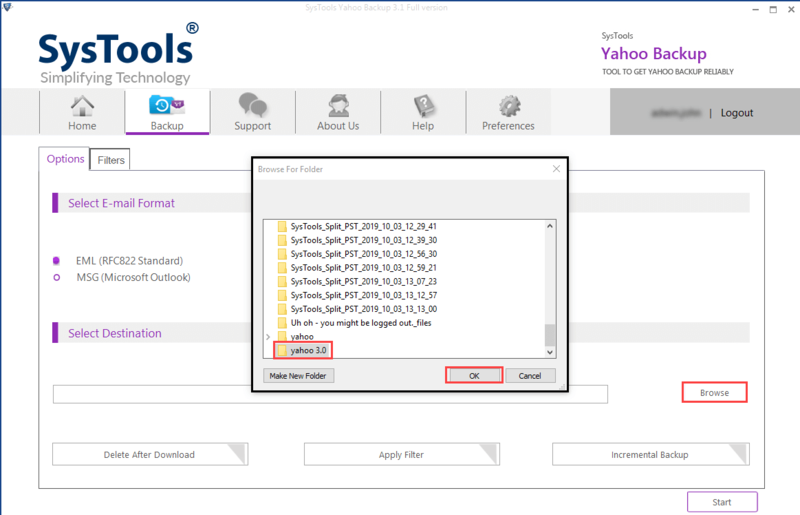 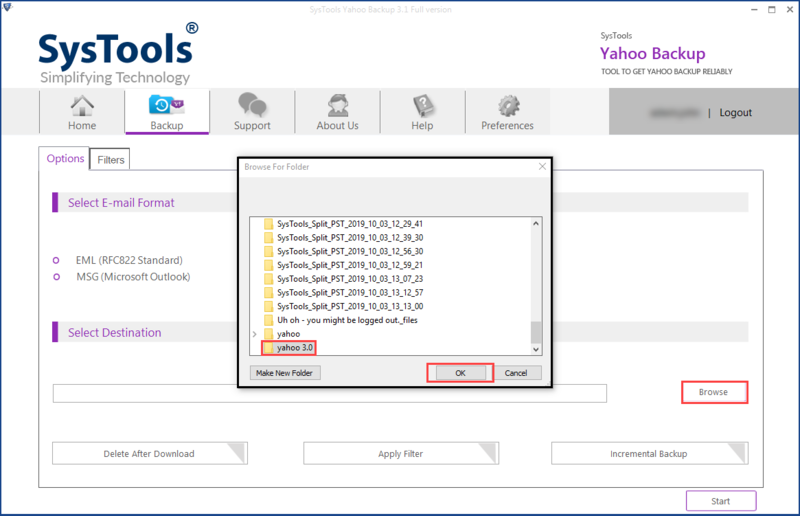 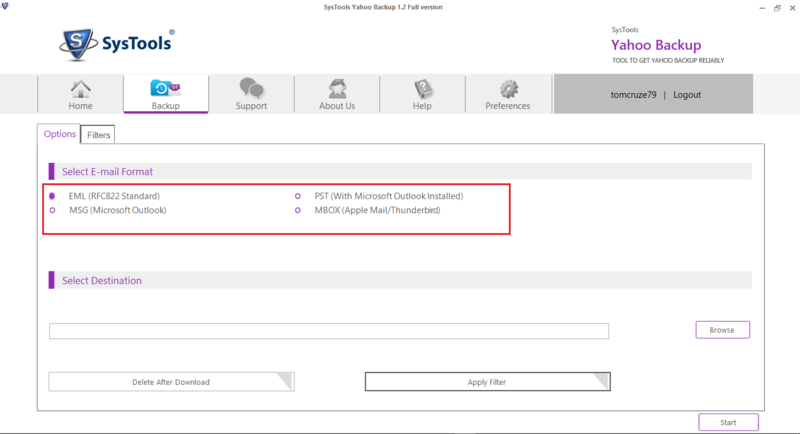 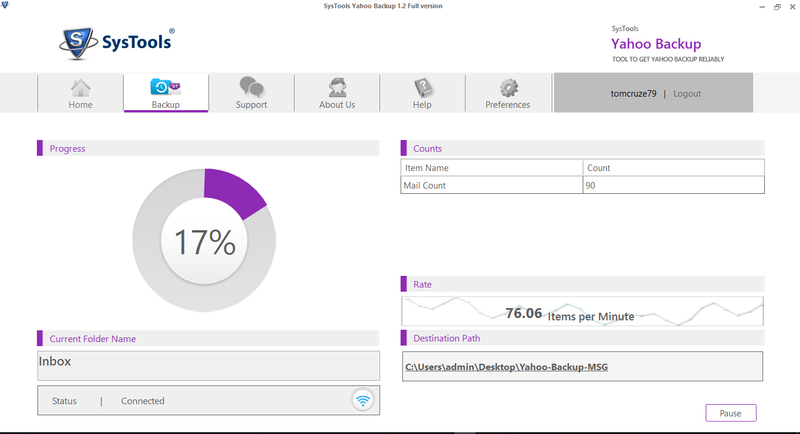 Provide the custom filters as per which the backup for the Yahoo Mail account can be created. 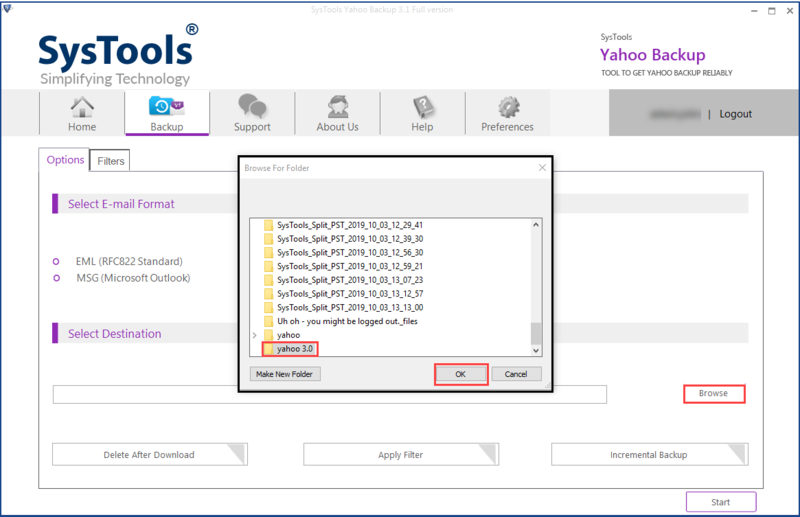 Select Folders: Include the folders that can included for backup creation. 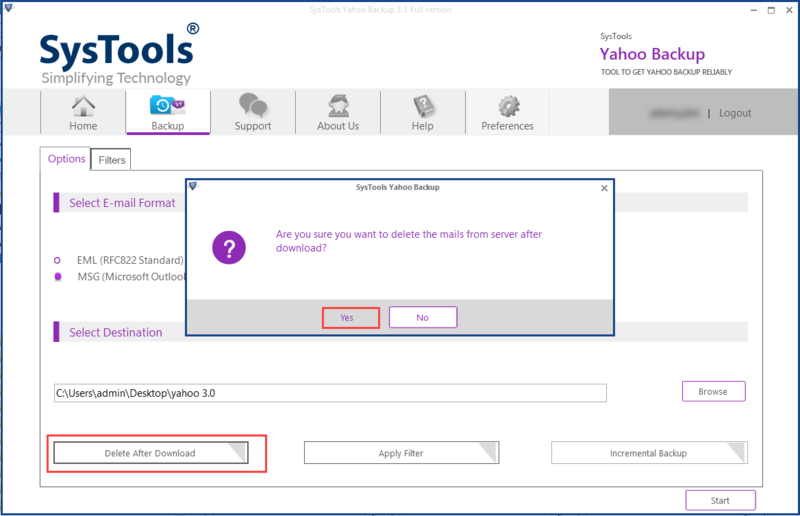 E-mail Filter: This includes the date filter including the from and to constraints to define the start and end date respectively. E-mail Filter: This includes the date filter including the from and to constraints to define the start and enddate respectively. 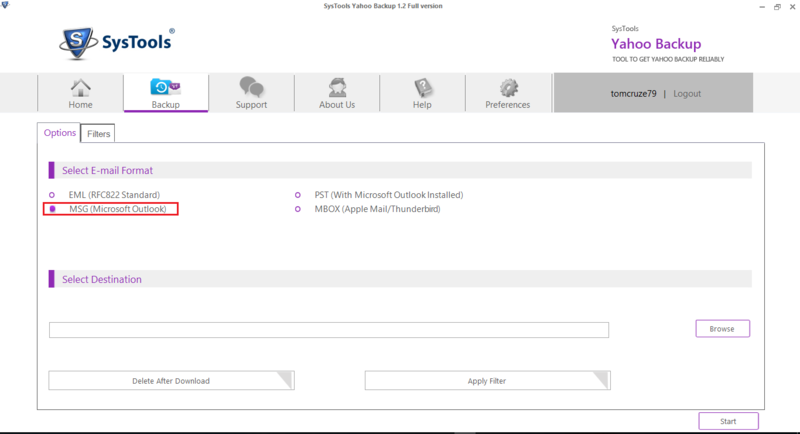 On this window, The summary for the whole process will be displayed. The software will now complete the process.